86" x 86" x 37"
Dry: 625 lbs., Wet: 3,625 lbs. 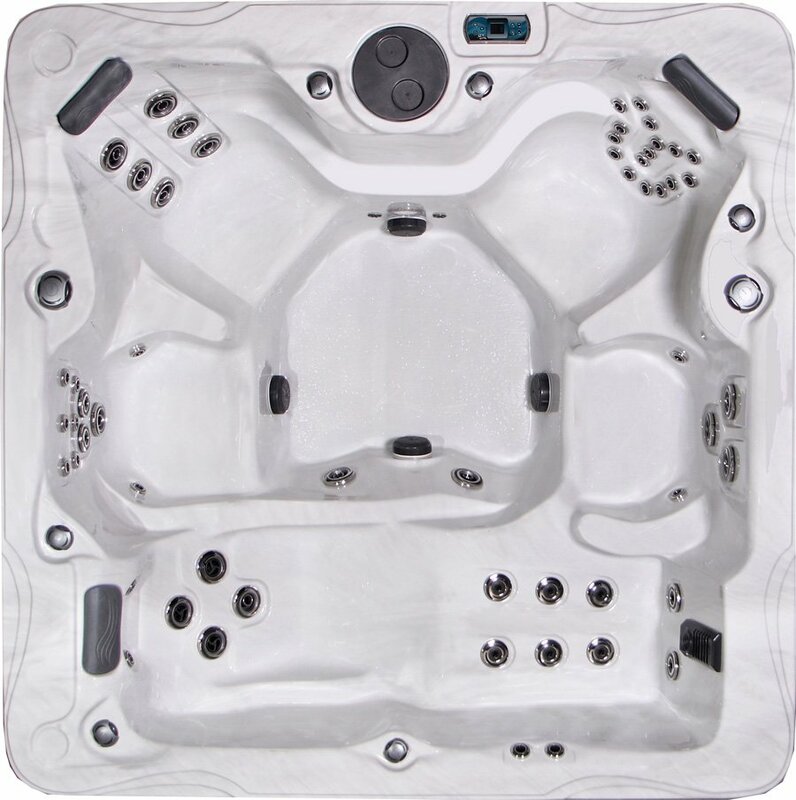 Escape into a cove of comfort with the deep curves and 86” square design of the Monterey, featuring a variety of seating options to accommodate a wide spectrum of relaxation needs. The embodiment of style and serenity, this handcrafted haven has four contoured seats with armrests and a sculpted lounge designed to exceed even the highest expectations. Once comfortably seated, prepare to be enveloped by a masterfully positioned arsenal of 56 therapy jets; neck, feet and everything in between is soothed and pampered to ease tensions. Adjust the jets to the position of your preference for a hydrotherapeutic experience that will benefit your health, all while helping you forget the woes of a stressful world.